Spectra Now: Shrink-Wrap: What is it and why you need it! Shrink-Wrap: What is it and why you need it! Dirt, dust, moisture, dinged up and damaged corners on printed pieces as a result of your brochures and other promo items rubbing against each other during transit. These are just a few of the enemies of printed pieces. What can you do to protect your investment? Enter Shrink-Wrap! Thin, light and durable, shrink wrap is the printing industry's protection super hero. Sometimes referred to as shrink film, shrink-wrap is a polymer plastic film that (wait for it!) shrinks when heat is applied. As the film shrinks it conforms to the shape of the item being packaged, totally encasing and tightly securing it. Many printed pieces are shrink-wrapped in bundles however, there are some applications which require each item to be shrink-wrapped individually. Additionally a chipboard backer is often shrink-wrapped with the printed pieces to add stability to the bundle. 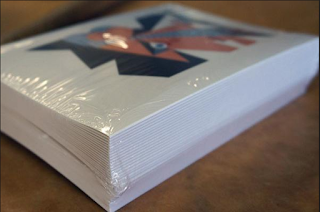 Shrink wrapping is considered a finishing operation used extensively in the commercial printing industry and like many other commercial printers Spectra Print offers it as an optional service. Why should you consider Shrink-Wrap for your Printing Orders? Shrink-wrap reduces the chance of crumpled and scrubbed corners by restricting the pieces from rubbing together in transit or shifting in the shipping carton. Shrink-wrap protects the printing from harmful contaminants such as dirt, dust, moisture and is a simple way of improving the longevity of printed orders especially those that are kept in long-term storage. Printed loose pieces such as one page flyers or posters that are shrink-wrapped in bundles are much easier to handle, inventory, store, and distribute. Due to the transparent nature of shrink-wrap it gives a clear view of what is enclosed. 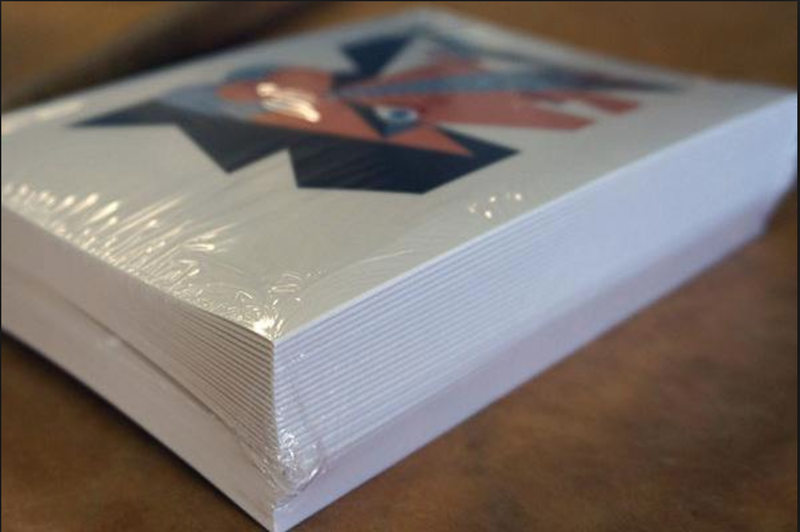 Printed pieces bundled in pre-set packs of 25, 50, or 100 pieces are easier to inventory and more manageable especially for high-gloss printing which has a tendency to slide around due to the nature of its slick surface. Shrink-wrap is a cost-effective packaging option (probably less than you think!) especially when taken into consideration all of its advantages. 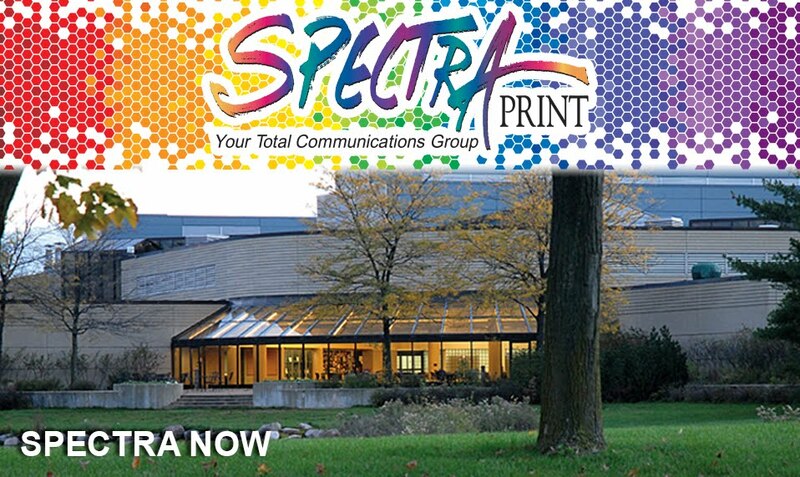 If you have any questions about shrink-wrap give Spectra Prints a call at 715-344-5175. Or if you have a project that you would like to have us quote, call or visit our website and click on the Request Quote link. They definitely deserve applause for the nice selection of bread and the service at this place which was good from start to finish. The mass produced filet was too good. 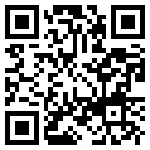 This is the best event space Chicago for hosting great events. The venue can accommodate as many as 850 guests or as little as 50.